We end up the year with the best news ever! 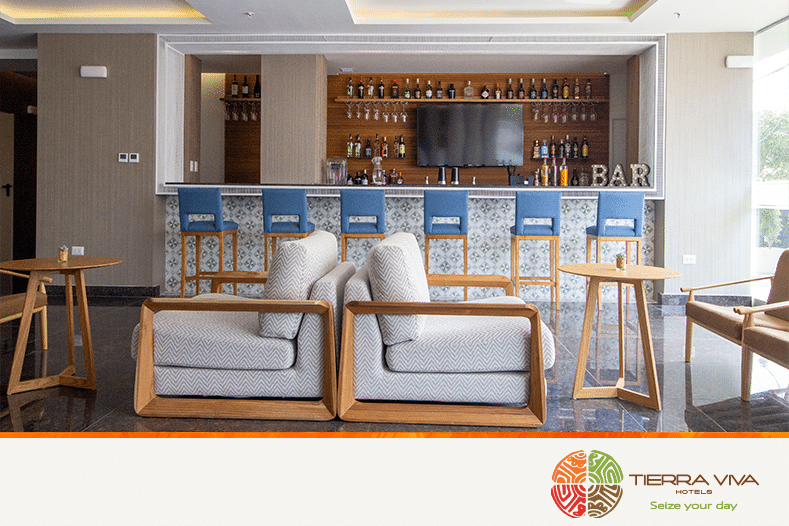 We officially open our new hotel, Tierra Viva Trujillo, in one of the most charming places in Peru: the City of the Eternal Spring. 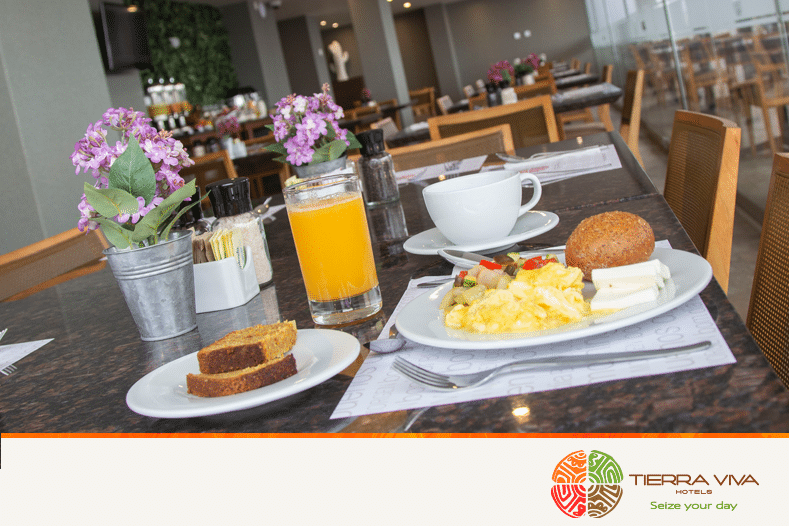 The recently inaugurated Tierra Viva Trujillo, the 11th of our Hotel Chain, has 63 rooms over 11 floors, is located in the best zone of the business area of the city and just one block from Victor Larco Herrera Avenue, one of the main street of Trujillo. 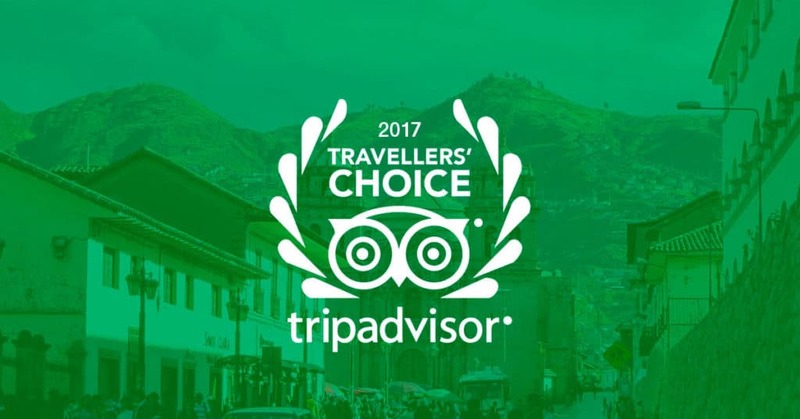 This makes it the perfect place to stay whether you are going on a business trip or visiting Trujillo for tourism. 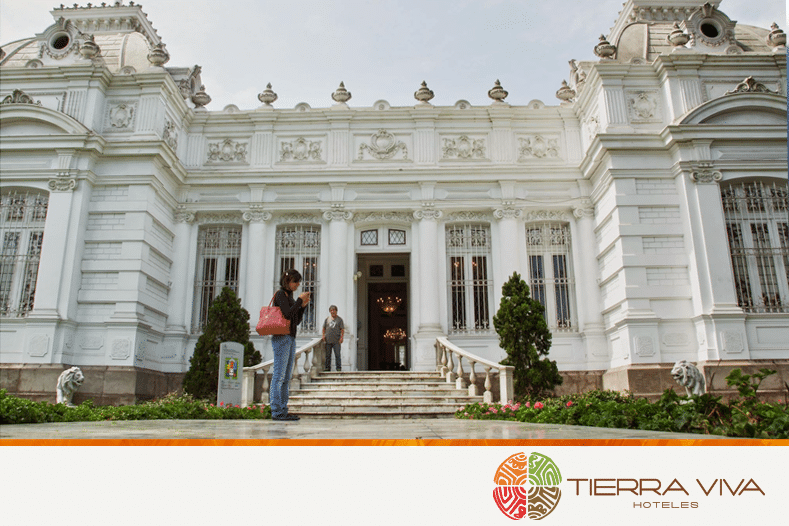 What will you find in Tierra Viva Trujillo? 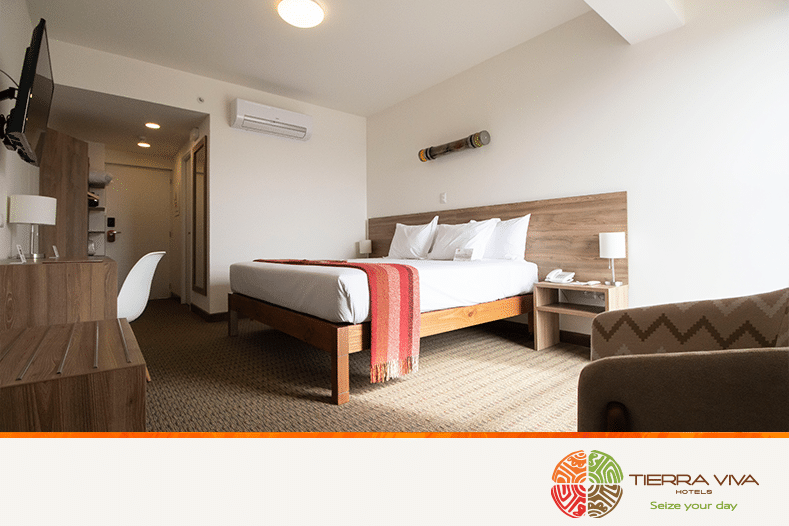 All the rooms in this new hotel have one king or two twin beds, a private bathroom with hot water, air conditioning, 40” television with cable, national and international telephone service, hair dryer, a safe box and desk . 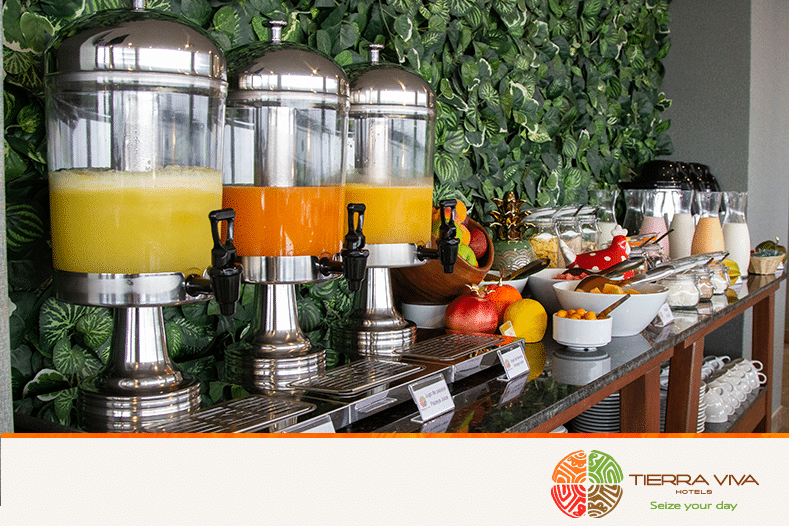 Also, Tierra Viva Trujillo has wide common spaces for multiple purposes, for example, you can enjoy a varied buffet breakfast every day from 6 am to 10 am (included in the price of the room) or cold or hot drinks in our lobby bar. 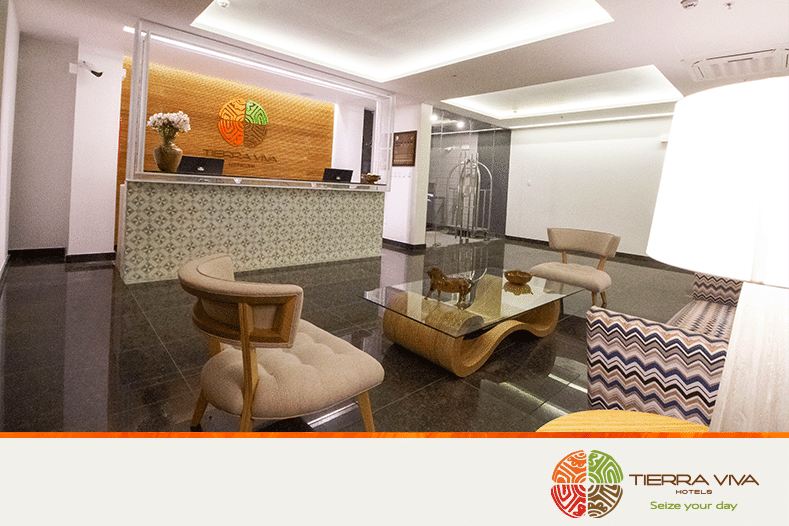 In addition, all areas of the hotel, whether they are common or rooms, have free Wi-Fi access for guests. Additionally, thinking especially of those who travel for business, the hotel has a directory with a capacity of 8 people and an Internet center. You can enjoy all these services and request any other thing to our excellent staff, who will help you with any need or advice. 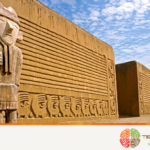 Live a unique experience in Tierra Viva Trujillo! 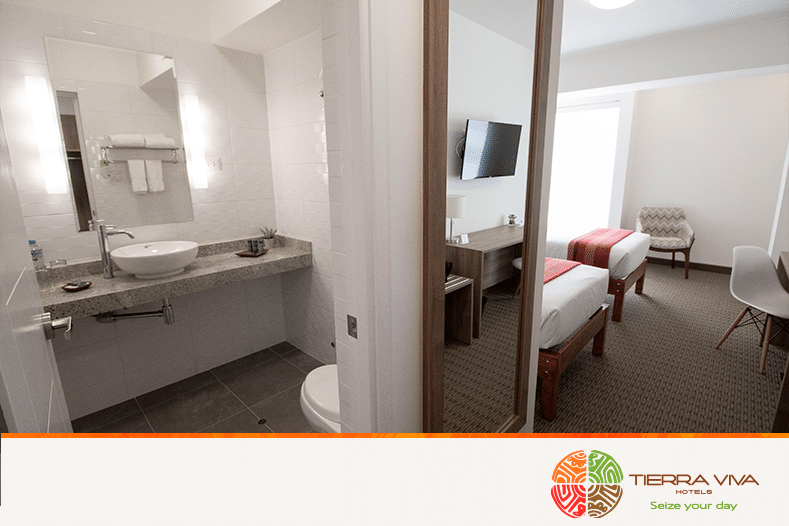 To learn more about this hotel or to book one of our rooms, visit our website.